Nokia one of the famous and biggest manufacturers of mobile devices developed many models and one of them is Nokia Lumia 1520. The phone comes with a touch screen facility and is a high display phone. The resolution is also good. The Nokia phones have always been praised for its battery life and this model is also appreciable for that purpose. The price of the phone ranges from Rs. 38000 to Rs. 40000. The phone offers a good camera and other features in context with connectivity and sensors. The operating system is also a unique case when the Nokia models are considered. The phone offers a touch screen with as display of 6.0 inch. The phones which have display above 5.3 inch are considered as the phablet. They serve the purpose of a phone and due to the high display screen they also serve as the tablet. The phone is combination of both. The display resolution of the screen is 1080 pixels X 1920 pixels which are very good. The high resolution makes it comfortable to view the images and especially the videos in better way. The density of the resolution of the phone is 368 PPI which is appreciable and better in comparison with other smartphones. Nokia Lumia 1520 is powered by the 2.2 GHz quad core and the processor is the Qualcomm Snapdragon 800. The processor used in the phone is high end and it will help to utilize the phone to great extent. The phone has the RAM of 2 GB and internal memory of 32 GB. This memory is enough for any normal user and if there is need of more memory, the phone offers to add external memory of 64 GB using the micro SD. As it is the Nokia phone it used the operating system of Windows. The phone runs on Windows 8. The biggest advantage of this model is the battery that it provides. The battery of the phone is 3400 mAh. The height, width and thickness of the phone are 162.80, 85.40 and 8.7 respectively. The weight is 209 grams. The phone has both a front and rear camera. The rear camera comes with a great resolution of 20 megapixels which is the biggest advantage of the phone. This allows having a good quality images with clarity. The phone offers the front camera with 1.2 megapixels which is a bit less as compared to the rear camera and the other phones offering front camera in this budget. The features are in respect with the price and you can take advantage of coupons for Flipkart to get them in discounted rates. The phone offers all the connectivity features such as WIFI, Bluetooth, FM, 4G, GPS, etc. the phone provides the common sensors such as an ambient light sensor, accelerometer, proximity sensor and it also provides gyroscope. It is a single SIM phone and accepts the nano SIM. The price of the phone brings it in the competition of other famous smartphones. 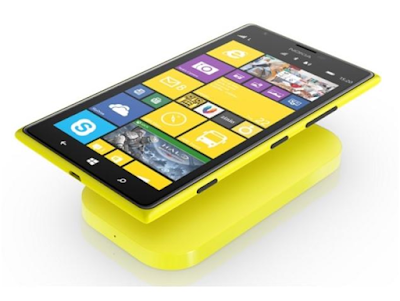 Message: I hope that you have enjoyed 'Nokia Lumia 1520 – the next generation phablet' article. However, if you want me to deliver more items, then please share my post. You can use Social Sharing Widget provided at the end of every post. After all, Sharing is Caring! You are welcome on tips2secure blog. Keep reading this blog regularly to know more amazing tips and guides. I am not so techi but your blog is very helpful me and it keep udates me about mobile realted tips.